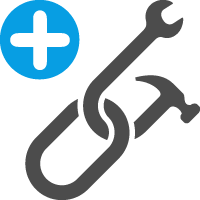 Is Content Syndication Right For Your Digital Strategy? The industry buzz that greets Content Marketing continues at pace as the tactic that can help brands redefine their proposition and differentiate their position from the competition. Indeed it’s very definition has changed, been re-purposed and continues to be re-interpreted but it’s safe to say Content Marketing provides a foundation for your digital marketing tactics to be used in a more joined up, strategic way to help drive the company objectives and in turn it’s digital strategy. But what about maximising the reach and engagement of your content and how do you continue to justify budget spent on your content marketing through analytics measures? Distribution of your content efforts is crucial and your branded digital marketing communications channels will be the natural route for engagement to customers and prospects. However, if your own branded channels lack the digital footprint to drive incremental reach what other tactics are available? Enter content syndication. As defined by Search Engine Watch: “..Is the process of pushing your blog site, or video content out into 3rd party sites, either a full article, snippet, link or thumbnail”. Content Syndication is not a new tactic, take a look at Yahoo or MSN and you’ll notice thousands of articles syndicated across their platforms sourced from other news publications and industry verticles that feed high traffic sites with content. 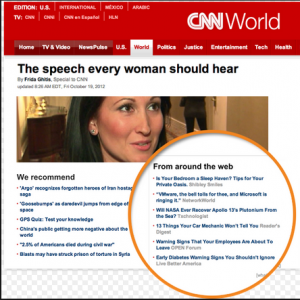 The below example from CNN shows an example of links to syndicated content that CNN believe would be relevant to their audience and thus help to keep their site “sticky” by maximising time on site and pages viewed per user session. Business Objectives – What are your business objectives e.g. is it to drive incremental visits, to drive engagement, lead or sales generation? What could syndication provide you differently to what your branded channels could offer? Understand your digital audience – Is there an appetite and need for your content on other platforms and media providers? e.g. Does your content offer you a unique selling point (USP) that you could turn into a reason to syndicate the content? Opportunities to drive potential cross marketing and advertising opportunities – By syndicating out your content, you’re creating new opportunities for collaboration with digital partners as well as getting to understand new audiences and new ways to execute content strategies. Drive Authority – Are you informing and delighting your audience by telling a great brand narrative through the content you’re delivering? Are you building a narrative – Fine tune your digital narrative that can be communicated through your online content. Engage in conversations through social media channels with your audience and reach out and build direct relationships with your customers and audience giving your brand a personality and a human element to your proposition and online reputation. Content Syndication will continue to re-invent itself and become a key battle ground for brands to drive their digital reach and engagement as they look to embrace more channels to syndicate content that are non-branded channels. A recent article by Adobe suggests that more and more leading brands such as Unilever, Microsoft and Pepsi will be investing more their time and budget in syndication programs and away from paid media campaigns.